The northernmost part of the Bourgogne winegrowing region sits on a stony, clay-limestone soil that dates from the Jurassic period. 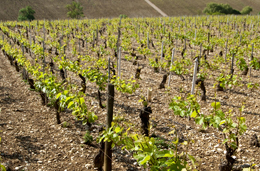 The Chablis region is unique for its soil rich in minerals and marine minerals where the Chardonnay grape flourishes. In the Grand Auxerrois and the Châtillonnais, the soil is mainly limestone and gives rise to many appellations that are full of character. Located between Paris and Beaune, Chablis has only 3,000 inhabitants, yet it is the biggest village in the whole of the Chablis winegrowing region. It is internationally renowned and owes this reputation to its 47 Climats that have been shaped through the ages and can be found on either side of the River Serein, a tributary of the Yonne. Today, more than 5,400 hectares of Chardonnay are planted on this prestigious Kimmeridgean soil. In 1904, Professor Georges Chappaz noted an abundance of tiny comma-shaped oyster fossils called Exogyra virgula in the subsoil of the Chablis area. Forming banks of limestone, these fossilized shellfish from the Jurassic era are combined with gray marl, a lime rich mudstone. Chappaz classified it as Kimmeridgean soil (a strata from the Upper Jurassic era around 145 million years ago, and observed for the first time in Kimmeridge in England) – a global reference in terms of the quality of the vines of the Chablis area. Chappaz thus lifted the veil on one of the secrets of the white wines of Chablis. 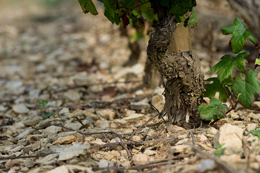 The originality and mineral richness of Kimmeridgean soil make the Chablis region the ideal place for the Chardonnay grape to express itself. From it, this varietal draws its unique subtlety, finesse and purity, which are revealed at each tasting. Where the lands of the Auxerrois, the Tonnerrois, the Vézelien and the Jovinien meet, the winegrowing area of the Grand Auxerrois sits on a convergence of the crystalline Massif central and the sedimentary terrain of the Paris basin. As in the Châtillonnais, the traditional northern Bourgogne varietals such as Chardonnay, Pinot Noir, César and Melon have flourished here for over 2,000 years, on the hillsides of light Oxfordian limestone dating back around 150 million years. • The limestone soils of the Yonne Valley in the Grand Auxerrois form the cradle of a very old winegrowing area. Many characterful appellations grow here, including Irancy, Epineuil, Chitry, and Bourgogne. • In the Châtillonnais, the clay-limestone and hard limestone amalgams produce sparkling Crémant de Bourgogne wines, and other white, red and rosé Bourgogne appellations. Fifty meters deep, under the beautiful landscape of the Châtillonnais, thousands of bottles of Crémant de Bourgogne enjoy the constant temperature of 12°C that can be found in the Caves de Bailly. Spread over four hectares, this ancient underground quarry was originally exploited for its stone, which helped erect some of France’s greatest national monuments including Notre-Dame de Paris, Chartres Cathedral and the Panthéon.